Mazdaspeeds.org, The New Era in Mazdaspeed, CX-7 & Ecoboost Forums! | Mazdaspeeds.org, The New Era in Mazdaspeed, CX-7 & Ecoboost Forums! Find a problem with the general functionality? Post here! What do you like, not like? What can we add? Announcements by MSO admins and moderators. The Official Social Media Partner of Mazdaspeed.org. Bumper Fitment Solutions available for Gen1 and Gen2 Mazdaspeed 3! These vendors have credibility and experience behind them in providing ways to tune our cars! A section for MSO Members who have a small, low-volume product or service. 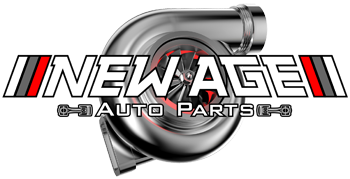 Where MSO Members can post thorough Reviews of parts/software/equipment for our cars! The section of of proven know-how and overall awesome source for information. Mazdaspeed 3? Come on in! How you make it look good! Not for LED washer nozzles. Got a Speed 6? Come on in! The new generation of boosted Mazdas! SKYACTIV-2.5T/SKYACTIV-X. From CX-9, to the Newly redesigned Mazda 6, and upcoming SKYACTIV-X, here is your blank slate to share your information! Discuss SKYACTIV-2.5T/SKYACTIV-X General Information here! Got an issue with your SKYACTIV-2.5T/SKYACTIV-X? Post up here about it! Post up about your SKYACTIV-2.5T/SKYACTIV-X and it's progress! Discuss SKYACTIV-2.5T/SKYACTIV-X engine and transmission here! Discuss SKYACTIV-2.5T/SKYACTIV-X suspension & brakes here. Installed something, or something helpful with your SKYACTIV-2.5T/SKYACTIV-X? Share here how to do it? For perfomance-built Miatas and MX-5s. Got the Ecoboost? Come on in! Autocross, Drag racing, and other legal racing. Street Racing is Metal Member Section ONLY, do not post in here. Live life one quarter-mile at a time.